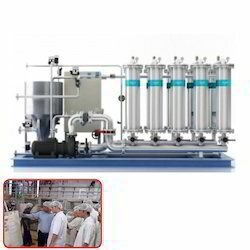 Being a prominent manufacturer, supplier, trader and exporter of Ceramic Membrane System for Agro Food Industry. These printing services are handled by our experts. The high grade material used to design our rolls provides perfect properties to these. We provide them in variety and are made with best level of accuracy. Looking for Food Industry Ceramic Membrane System ?